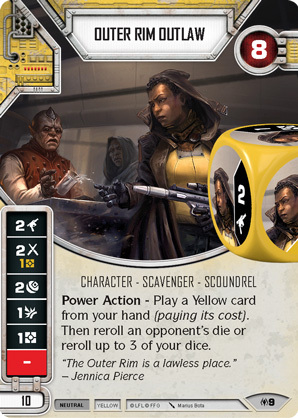 Character - Scavenger - Scoundrel. Points: 10. Health: 8. Power Action - Play a Yellow card from your hand (paying its cost). Then reroll an opponent's die or reroll up to 3 of your dice.